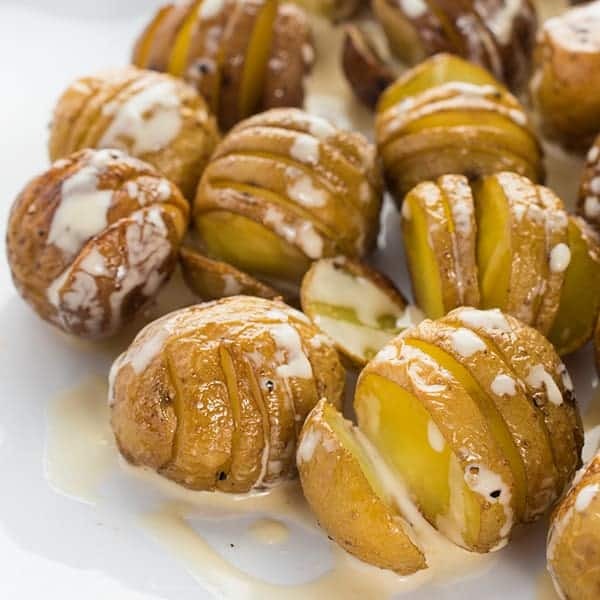 The ultimate appetizer or snack recipe, little potatoes are sliced Hasselback style, roasted until golden then drizzled with a lemon-garlic tahini sauce. My boys love potatoes and since I always have them on hand, it is one of our go-to ingredients for a quick side dish, appetizer or soup. 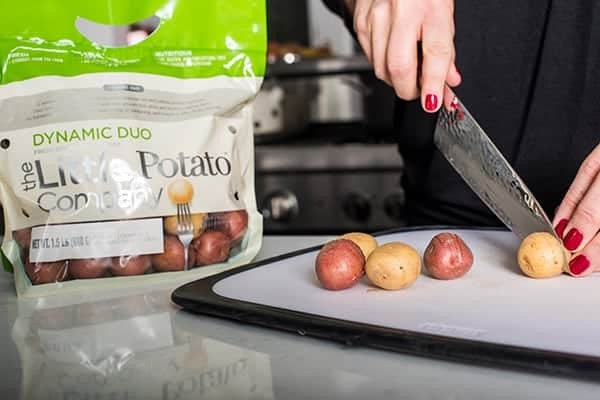 One reason we love Little Potato Company is because the potatoes come pre-washed and you don’t have to do any peeling. Music to this busy mama’s ears! Lately, my six year old has been going through a major growth spurt and has been eating almost around-the-clock! 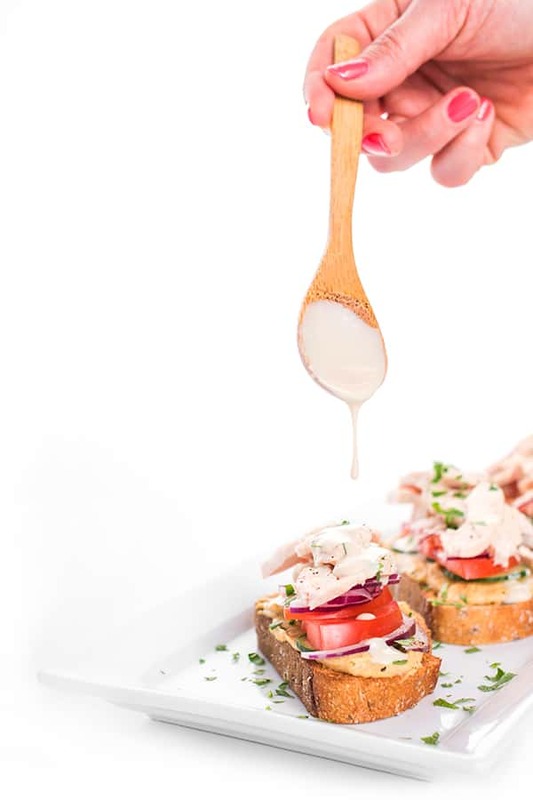 Since I don’t want him to load up on junk after school, I decided to come up with a healthy and satisfying snack recipe which is how I created these Little Hasselback Potatoes with Tahini Sauce. If you’ve never tried making Hasselback style potatoes, it couldn’t be easier. You simply slice little slits in the potatoes, about 3/4 of the way through, leaving the potato in tact. Brush with olive oil and sprinkle with salt and pepper then they’re ready to bake until crispy. While the potatoes bake, I whisk together a simple tahini sauce made with lemon juice and garlic. 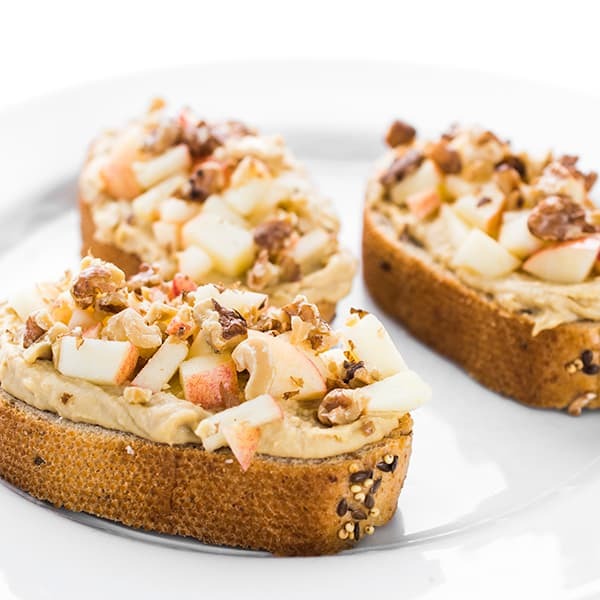 My kids love hummus so it’s no surprise they love this sauce as well. In fact, it’s delicious over any roasted veggie. Preheat oven to 425 degrees. Carefully slice the potatoes Hasselback style, being careful not to slice all the way through so the potatoes remain in-tact. Gently brush the potatoes with olive oil then sprinkle with salt and pepper before roasting until golden brown, about 15-20 minutes. Oooh, oooh, oooh!! Whole30 approved! YAY! Ben and I are on day 14 and need another spin for potatoes and THIS is it! :) Plus, who can’t pass up these adorable little cuties, with your famous (my favorite) lemon garlic tahini sauce to boot!! xoxo! 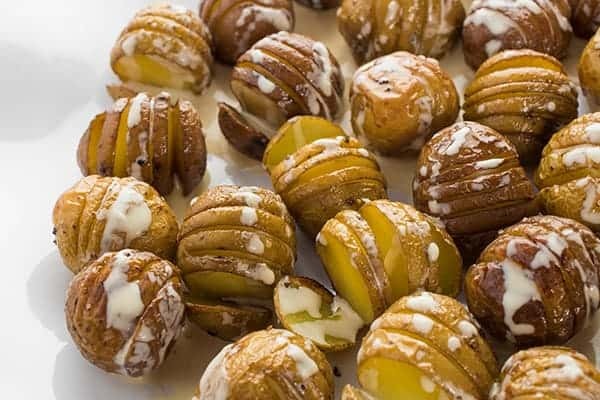 The cutest little hasselback potatoes ever! Loving the sound of that tahini sauce. Thank you so much!! So good! I love this tiny spin on hasselback potatoes. These look like the best thing ever! Definitely have to try it! 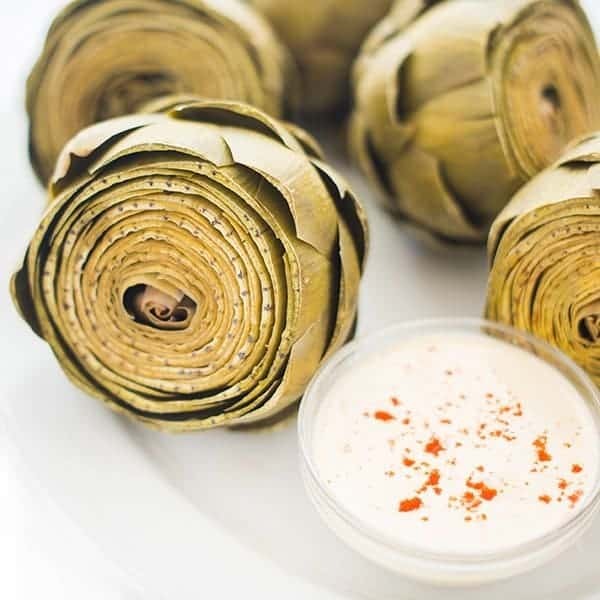 These Looks incredible, a perfect appetizer idea! mmmm…these are incredible!! Can’t wait to make them for my family!! How fun are those?! 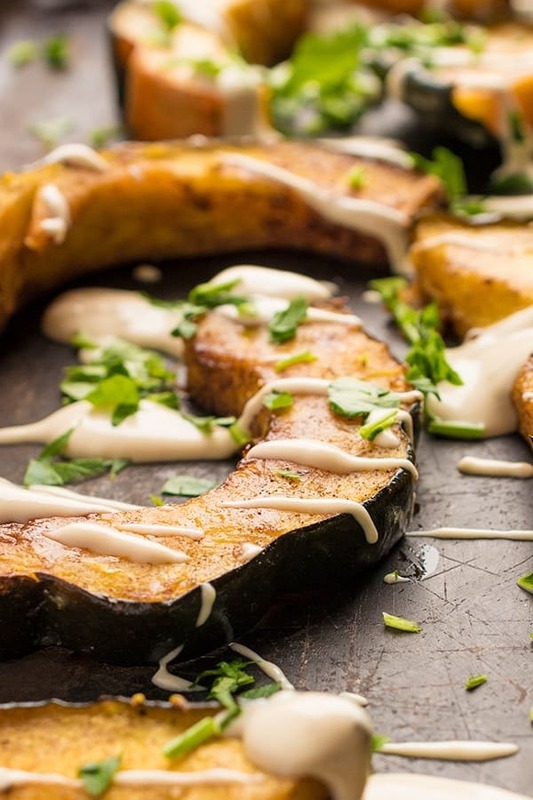 What a great way to eat those little potatoes, love that tahini sauce! These are the cutest little potatoes. 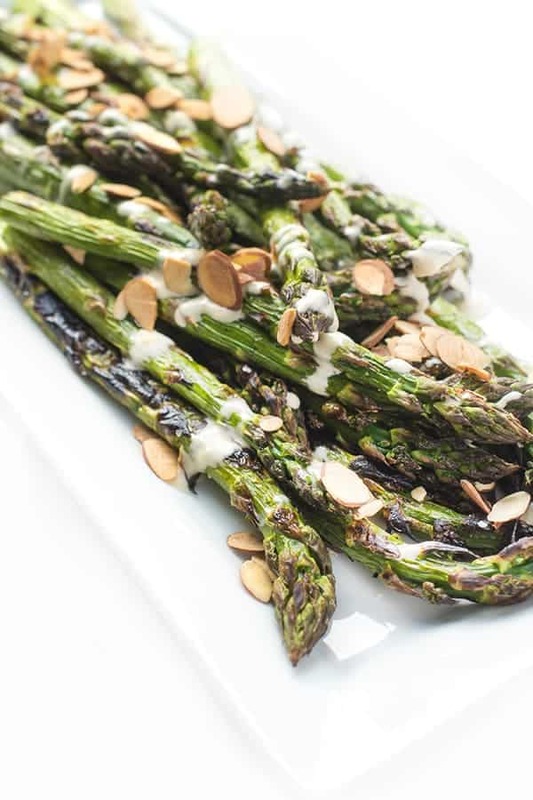 I love that lemon-tahini sauce. Such a great addition and adds a ton of flavor. What a fun twist on potatoes. That sauce looks amazing. I need to try these asap!! !